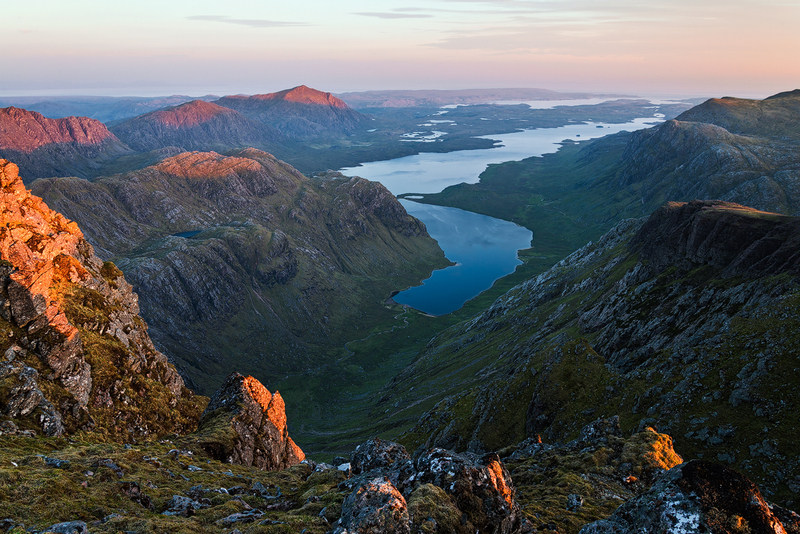 This peak offers one of the vastest views over the Great Wilderness of Scotland. In terms of distance to the next road this is close to the most remote area in the entire United Kindom. It took us 26km and a 950m ascent to reach the summit of A’Mhaighdean – well worth it given the conditions we got for sunrise. A’ Mhaighdean is one of the least accessible of the munros in northern Scotland.